Deon's World Multi-Sport Coaching and Training We are passionate with a purpose keeping you focused on your Wellness goals. WE DO: FAMILY, BIO-MECHANICS, SELF-AWARENESS, RUN, HIKE, WALK, PADDLE, STRETCH, SWIM, PURPOSE, PADDLE, BIKE, MNT BIKE, TRIATHLON, DUATHLON, AQUATHON, SUP, AEROBIC, STRENGTH, LIVE, CARDIO, CIRCUITS, BOOT CAMP, REHAB, GROUPS, MASSAGE, COURAGE, LIFE, SURF SKI PADDLING, KAYAKING, HYDRO-WORKOUTS, PERSONAL, FUN! YOUR BODY WILL LOVE YOU! 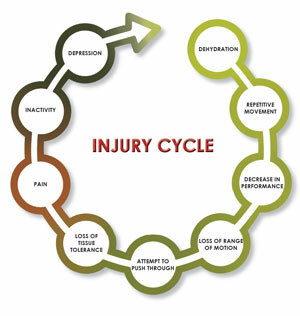 "STOP THE CYCLE BELOW BY TRAINING SMARTLY WITH A COACH AND AN ATHLETE WHO BELIEVES THAT PREVENTION IS ALWAYS BETTER THAN A CURE"
Copyright 2012 Deon's World Multi-Sport. All rights reserved.